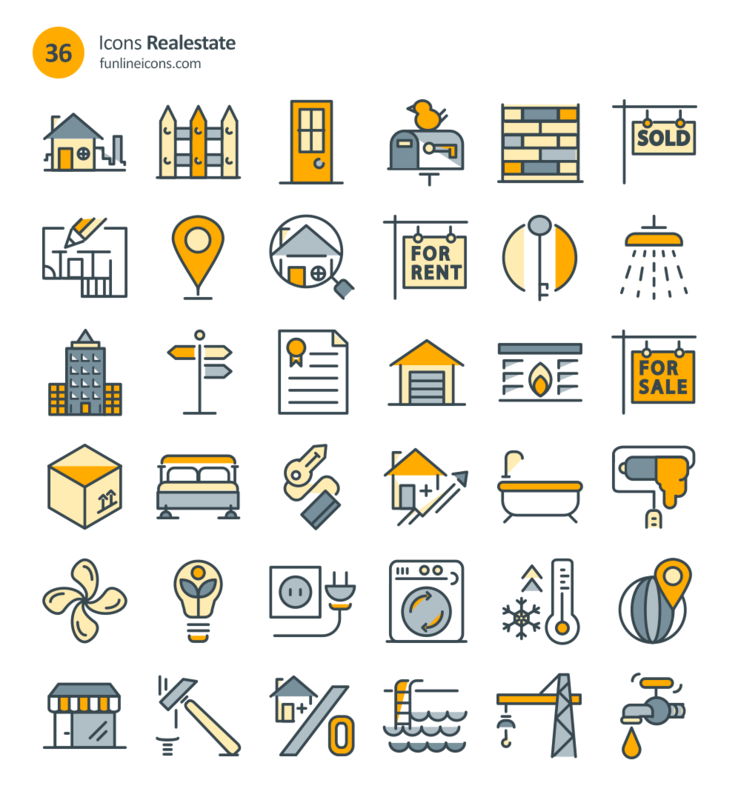 When it comes to web projects, real estate and home appliances go well together, so today we’re happy to release a lovely free icon set with 72 related icons. The set includes icons in 4 sizes and in 8 formats: AI, CSH, EPS, SVG, PDF, PNG, Sketch and Webfont. The icon set is free to use in personal and commercial projects. Designed by Funline Icons. Feel free to modify the size, color or shape of the icons. No attribution is required, though reselling bundles or individual pictograms isn’t allowed (and it isn’t cool either). Please note that the set is released under a Creative Commons Attribution 3.0 Unported license. We’d kindly like to ask you to provide credits to the creator and link to this article if you would like to spread the word. 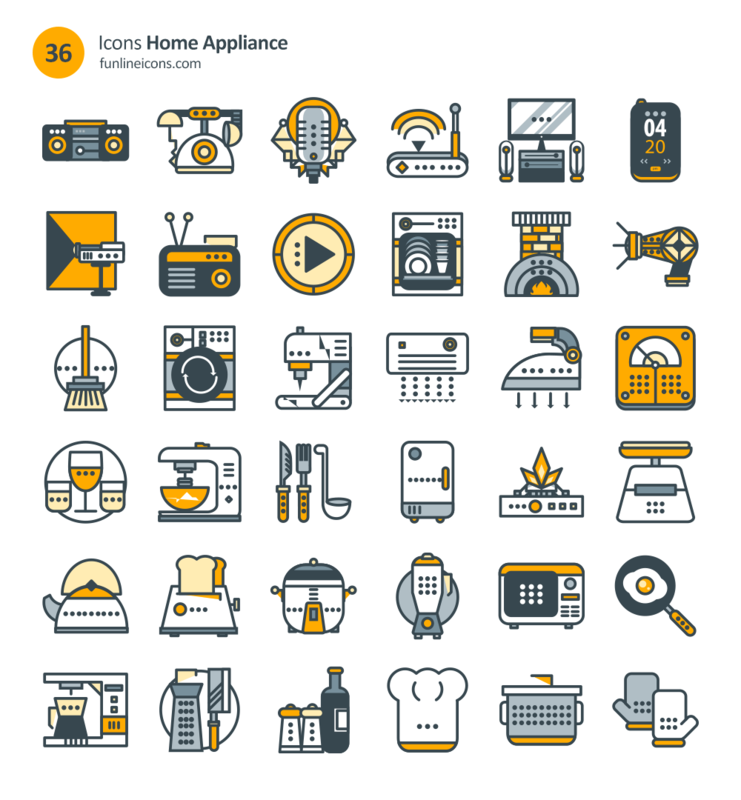 When it comes to web projects, real estate and home appliances go well together, so today we’re happy to release a lovely free icon set with 72 related icons. The set includes icons in 4 sizes and in 8 formats: AI, CSH, EPS, SVG, PDF, PNG, Sketch and Webfont. The icon set is free to use in personal and commercial projects. Feel free to modify the size, color or shape of the icons. No attribution is required, though reselling bundles or individual pictograms isn’t allowed (and it isn’t cool either). Please note that the set is released under a Creative Commons Attribution 3.0 Unported license. We’d kindly like to ask you to provide credits to the creator and link to this article if you would like to spread the word. A big thank you to the team over at Round Icons for designing this wonderful icon set — we sincerely appreciate your time and efforts!